I am a small hobby breeder of AKC Pomeranian dogs, located in Arlington, TN. 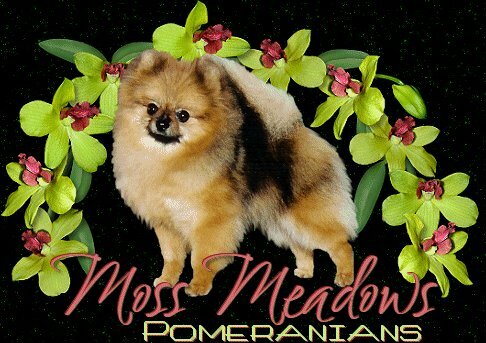 Specializing in Breeding, Show & Pet Quality Pomeranians in Standard and exotic colors. Exotics: Black & Tan, Black & Silver, White, Cream, and Cream Sables. Standard colors: Orange, Orange Sable, and Red Sable. I fell in love with the breed in 1988 when, I purchased my first pet pom. After that I strived to find the best poms to breed and hopefully show one day. Once, I got on the web and surfed the different show Pomeranian sites, I discovered a whole new world of poms, they were none like I had ever seen before. I purchased my first show pom in 1999 and showed him for about six months. He was gorgeous but, just didn't like to be shown. Then, I was bitten by the show bug, and I was ready to get another dog. So, I purchased more poms to show. My goal is to breed quality, health and good dispositions into all of the puppies.